Our range of products include PLC Panels such as PLC Control Panel, Food & Beverages PLC Panel, PLC Power Panel and PLC Industrial Panel. We are one of the recognized names in the industry for designing, keeping in mind the specific requirements of the clients, and providing an array of Electrical Panels .These panels are made of good quality materials in accordance with industrial quality standards. These find their application in commercial buildings, hospitals, industries, dairies, telecommunications, research laboratories etc. 1. 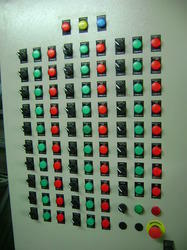 Our panels are made of good quality materials in accordance with industrial quality standards and latest technology. 2. The panel casing is of strong weather-proof galvanized stainless steel and is durable, efficient and highly functional. 3. These ensure durability, high performance, trouble free operation, less maintenance and low power consumption. 4. We adhere strictly to stringent quality checks required by various industries like telecom, electrical and electronics industries. Owing to the hard working professionals and rich experience, we are able to offer an extensive range of PLC Control Panels. 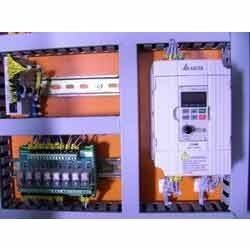 The offered range of PLC control panels is developed utilizing optimum grade raw material and highly advanced machinery in strict conformation with the industry laid norms and standards. Also, these products are known for their robust construction and durable standards. Coordinating multiple tasks at one time. 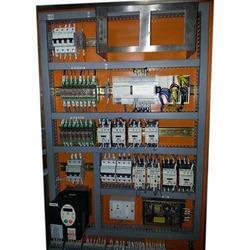 We provide ample range of PLC Industrial Panels to our patrons at competitive prices. Our ranges of these products are known for its durable performance and sturdy design. These panels are broadly claimed in electronic and automobile industries, as this is programmable logic controller that is used for industrial process automation. We manufacture these with high grade quality materials which are sourced from certified vendors in the market. Our range is available in various sizes and models. Building or upgrading production facilities requires control systems and electrical products that are durable, reliable, and delivered on time. Inditron's product basket also includes a wide variety of PLC panels(Programmable Logic Controller Panel) manufactured to suit customers' process plant operation. The Programmable Logic Controllers Panels, Electric Control Panel are tailor made and customized as per the requirement of the customer. 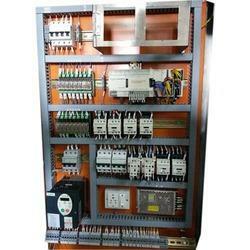 We offer following brands of PLC Automation Control Panel with complete accessories and programming. We have experienced personnel to assist in Fat's to help solve problems before field installation. 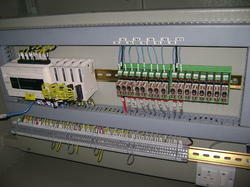 Assistance in field installation, testing and commissioning is also provided by us. We manufacture a quality of Food and Beverages PLC Panel that is supplied in order to fulfill the need of various clients throughout the market. These are available in various capacity sizes and models as per the requirement made by our treasured consumers. We trade these products in a wide range that have high performance and are completely reliable and durable. Our ranges of products are manufactured using high grade raw material and latest technology and machinery.